Twenty of the world’s most influential leaders meet this week in London at the Excel Centre on the banks of the Thames. They meet during a period of almost unprecedented financial turmoil. But will they come up with world-changing solutions? The United Kingdom chairs the Group of Twenty in 2009 and this week it hosts the G20 summit. The G20 is otherwise known as the Group of Twenty Finance Ministers and Central Bank Governors. It is a group of finance ministers and central bank governors from 20 states, 19 of the world’s largest national economies and includes the European Union. It is a forum for cooperation and consultation on matters pertaining to the international financial system. It studies, reviews, and promotes discussion among key industrial and emerging market countries of policy issues pertaining to the promotion of international financial stability, and seeks to address issues that go beyond the responsibilities of any one organization. The Washington Summit held in November 2008, on the international response to the global financial and economic crisis, set out an agenda for G-20 Finance Ministers to take forward work in areas of financial management, such as the promotion of integrity in financial markets. It is also proposed that the G20 should reinforce international cooperation and that International Financial Institutions should be reformed. Four working groups were set up to undertake this work in anticipation of the London Summit and now this week they come together to discuss what might still be required to restart the global economy. World leaders are set to reiterate a pledge to avoid protectionism and complete stalled global trade talks, but offer little to those calling for more economic stimulus. The G20 now has a crucial role to drive forward work between both advanced and emerging economies, to tackle the international financial and economic crisis, restore worldwide financial stability, lead the international economic recovery and secure a sustainable future for all countries. The financial markets and the world economy both continue to face serious global challenges, and the severity of the crisis couple with ongoing uncertainties demonstrate need for urgent action. During the United Kingdom’s Chair, the immediate priority will be to gain further agreements for a concerted and managed international response. The G20 will need to send a strong message that it will do whatever is necessary to stabilise the financial system and to provide further economic support. The Financial Times says the group must commit to maintaining open trade and investment, to avoid a retreat to protectionism, and direct necessary additional support to emerging markets and developing countries. It is clear that it could be emerging markets who actually help other countries out of this dilemma. For instance, whilst China holds much of the US debt in its hands, it also exports many cheap goods to the US, which can only be seen as a relationship which is beneficial to China, a so called “emerging market”. In China, in stark contrast with the UK at the moment, the economy continues to grow, meaning that China can continue to lend to other world economies. President Barack Obama has voiced optimism that this week’s crucial G20 summit will set the framework for recovery, saying that world leaders know they must “deliver a strong message of unity” for the sake of the global economy but he played down talk of a split between the US and the leading continental European economies, notably Germany and France. Gordon Brown said: “The world is coming together and the results of this week will show that global problems… require global solutions. Meanwhile Ministers were struggling to maintain momentum for the G20 summit last night after it emerged that any spending decisions might be deferred to a later meeting. Yesterday, Kevin Rudd, the Australian Prime Minister who will hold pre-summit talks with Brown tomorrow, said it was now up to the International Monetary Fund to determine how much additional support the world economy would need next year, and that there had never been any expectation that the decisions on that package would be taken in London. The so-called Casino Capitalism in the City of London has been severely criticised by our neighbours in Europe. 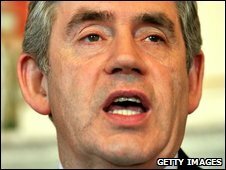 The light touch regulation so much revered by Gordon Brown and his Government in 2006 has not worked. The need and desire to reduce the burden of paperwork has allowed loopholes to develop. Transparency is now the watchword of the G20 and they want more regulation done more obviously. Lord Turner of the FSA thinks that, for example, AIG was the worst case of an institution falling between the stools of the US and the UK regulatory processes. Madoff was also regulated in the UK and the US. But that too was missed by both sets of regulators. Now we have toxic assets being sold around the world. Some believe that tax havens such as The Isle of Man, Jersey or Monaco with their shadow banking systems may have to be brought to an end. France has already threatened that Sarkozy will resign as Prince of Andorra resulting in Andorra agreeing that it will surrender its special status. Common standards will have to be applied in future. There cannot be a separate banking system evading the national jurisdiction in the opinion of Peter Mandelson, Business Secretary, who also thinks that in this country there was a sound regulatory framework but that the powers could have been used more “intrusively”. Separately, five British people have been arrested in connection with a suspected plot involving explosives to disrupt the G20 summit. The individuals were arrested at addresses in Plymouth and they are being held under terrorism legislation. Despite the involvement of explosives, a police source with knowledge of the investigation has told the Guardian that initial inquiries indicate the five were “not planning a Guy Fawkes plot”. “I think it was more designed to disrupt than injure or kill,” the source said, adding that reports that the individuals were Greek nationals were false. It is understood that the “suspicious devices” found suggest a small-scale stunt. Unconfirmed reports said the individuals may have had “flares” in their posession.